. 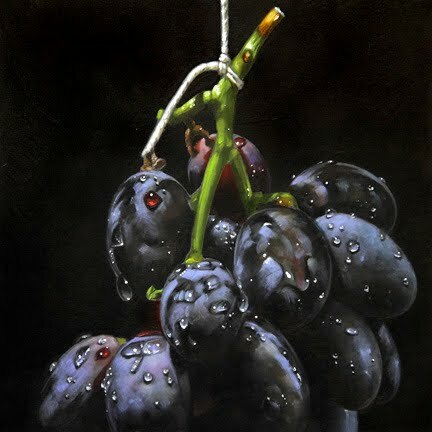 . . and to complete the week, some grapes. These black grapes are great fun to paint, and even more so when you add some water droplets. Now it's back to the big bovine. A daunting task I must admit, but if I can pull if off, maybe a cool painting. The next couple of week will tell. If you'd like to bid on the painting above, you can access the auction by clicking here.